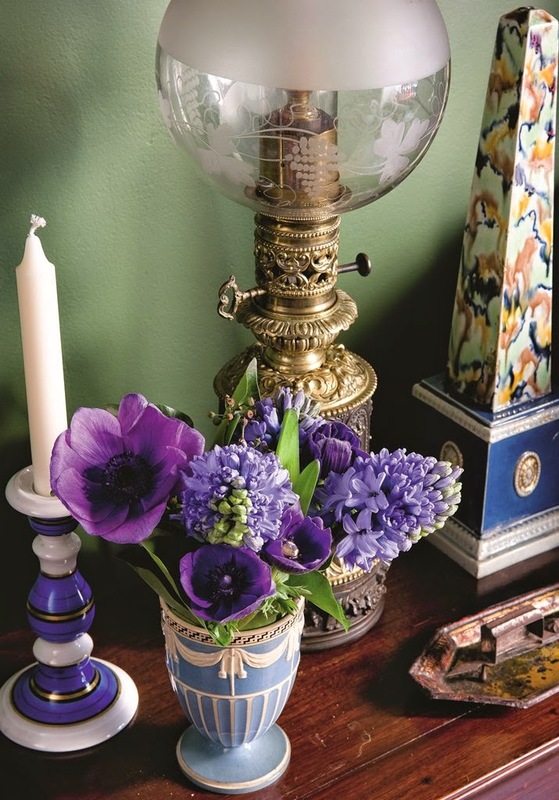 The Spring book releases are just starting to make their debuts, and two that I have read- and enjoyed- thus far are A Home in Paris, written by Catherine Synave with photographs by Guillaume de Laubier, and Nicky Haslam: A Designer's Life, which was written by the designer himself. 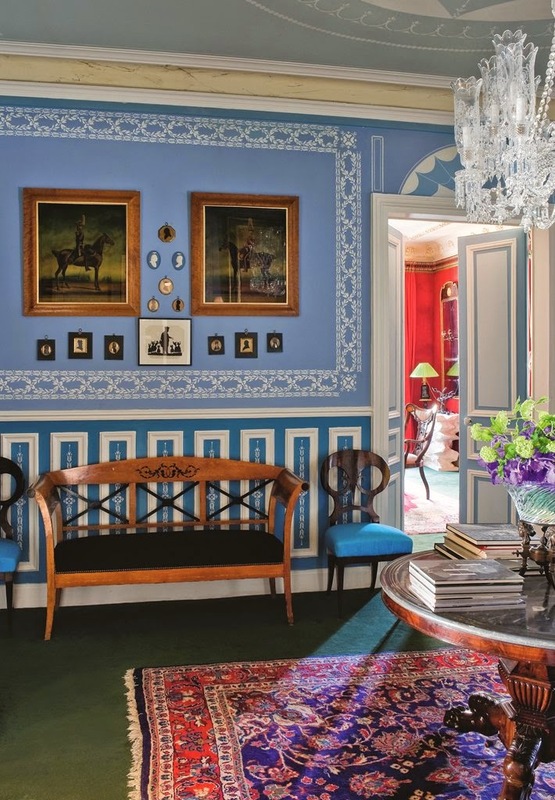 The former is a voyeuristic look at some of Paris' more intriguing homes, including residences decorated by Jacques Garcia and Tino Zerduvachi. Organized mostly by decorating and architectural styles, the featured homes are grouped into such categories as "Tradition and Reinterpretations", "Modern and Contemporary Interiors", and "The Soul of a Collector". (It should come as no surprise that the traditional-oriented section is my favorite.) 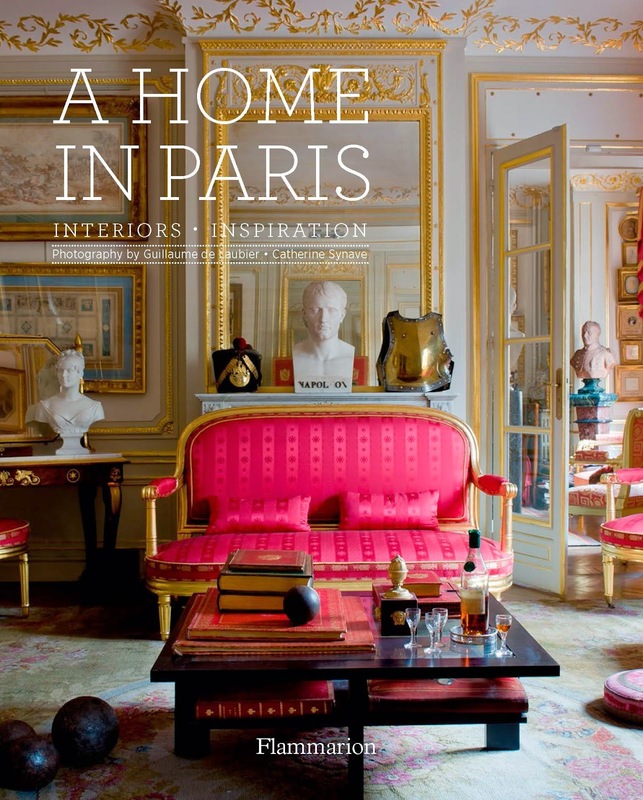 Although there have been a multitude of books published on Paris interiors, I continue to add them to my library because, quite simply, I never tire of looking at beautifully-appointed homes in Paris. 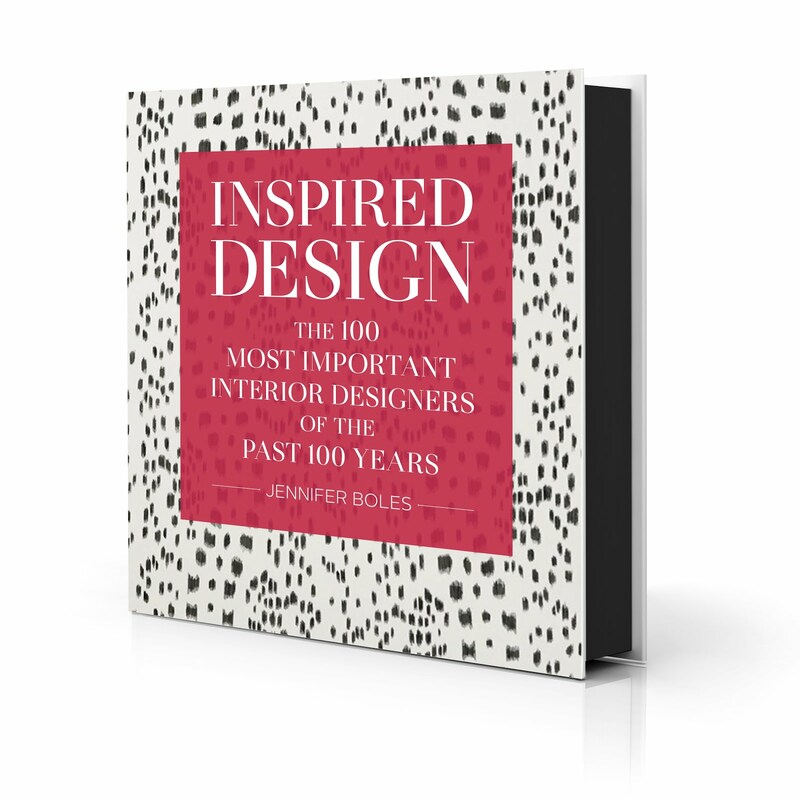 If you're like me, you should consider adding this volume to your design-book collection. Do note, though, that the book is modestly-sized, measuring roughly seven-by-nine inches. I like the book's scale because it made reading in bed easy, but I want to let you know in case you were expecting a larger-sized book. A much different design book is Haslam's latest effort. 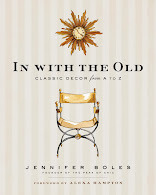 The book's subtitle is, "An Archive of Inspired Design and Décor", and what an archive it is. Haslam's work is well-represented in the book by big, beautiful photos. But Haslam takes the reader beyond the glossy surfaces by making him privy to the inspiration and creative-process behind each interior. 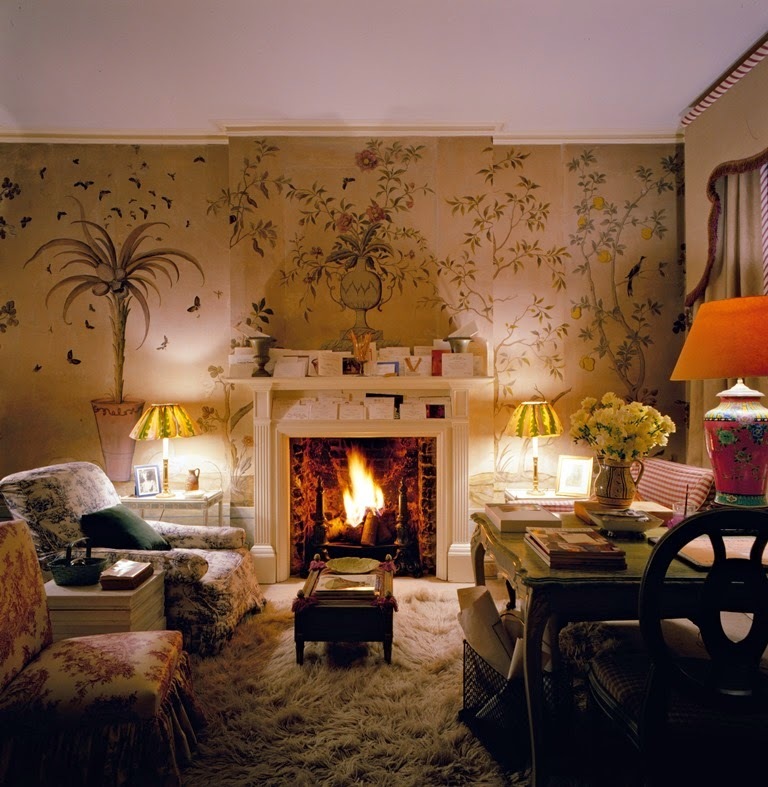 The designer's upbringing has greatly influenced his work, as have books, travel, and the glittering personalities with whom Haslam associates. 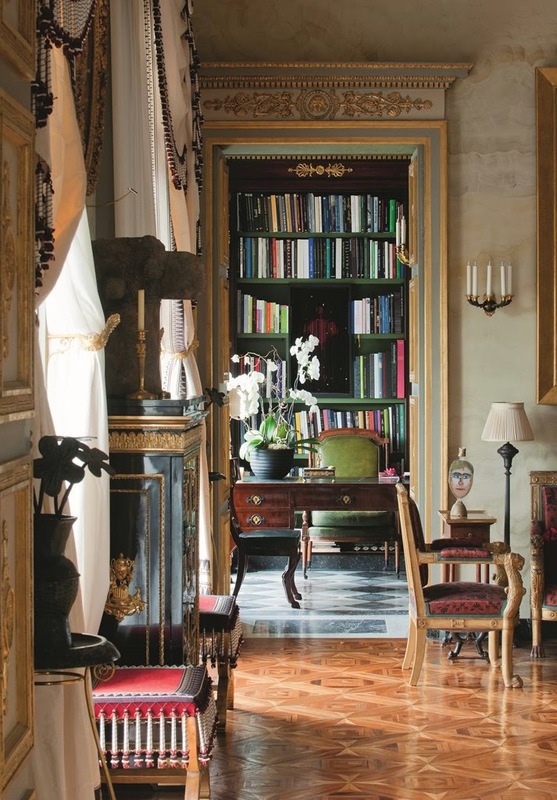 In his book, Haslam writes of these influences, linking them through witty text and photos to the interiors and decorative finishes that they inspired. 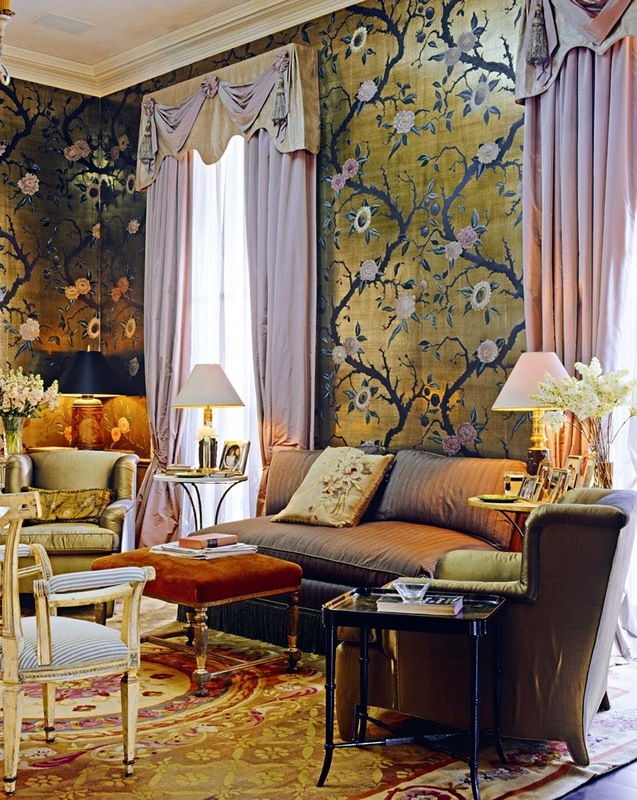 Yes, the book reads in part as a memoir (and a lively one at that,) but it also allows the reader to see how a designer such as Haslam translates inspiration into some very posh interiors. 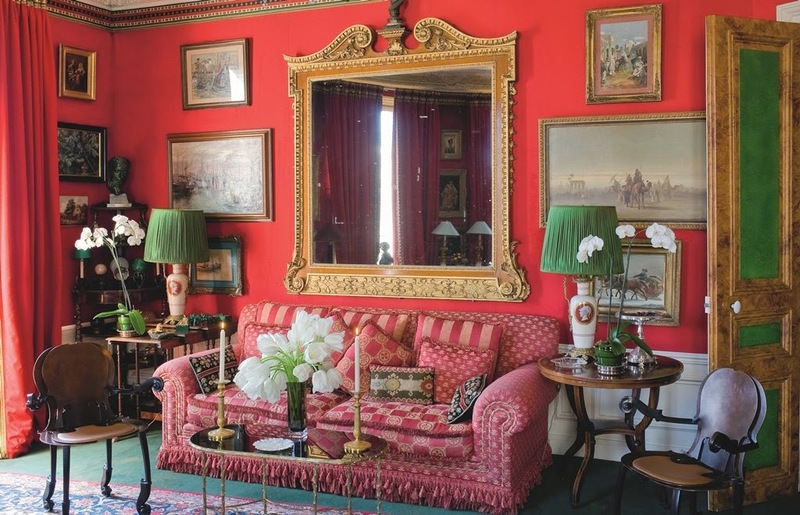 If you're looking for a delightful design book, then Haslam's book should suit you to a T.
A Haslam-decorated living room in a New Orleans home. © Andrew Wood. Look closely, and you'll see the fringe-trimmed pelmets. As Haslam wrote, "I always wanted to put a fringe on these pelmets." © Andrew Twort. 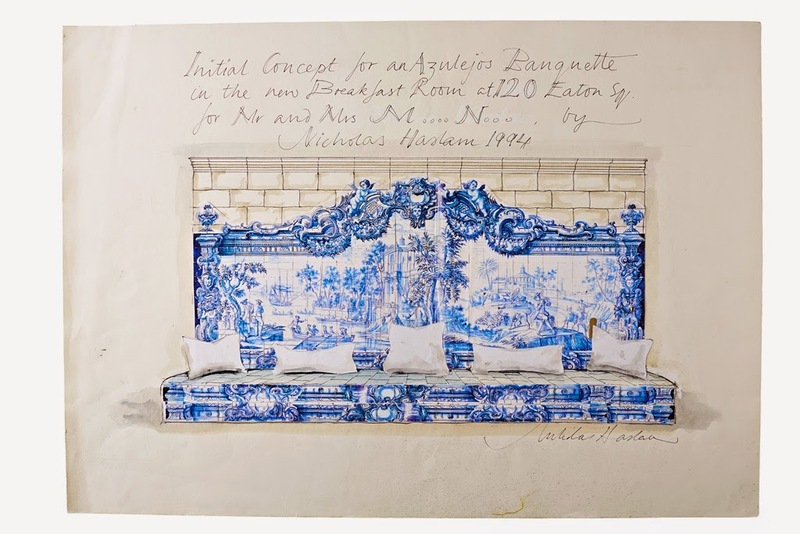 Nicky Haslam designed this tiled garden seat after Portuguese azulejos. ©A HOME IN PARIS, Flammarion, 2015. Images ©Guillaume de Laubier. 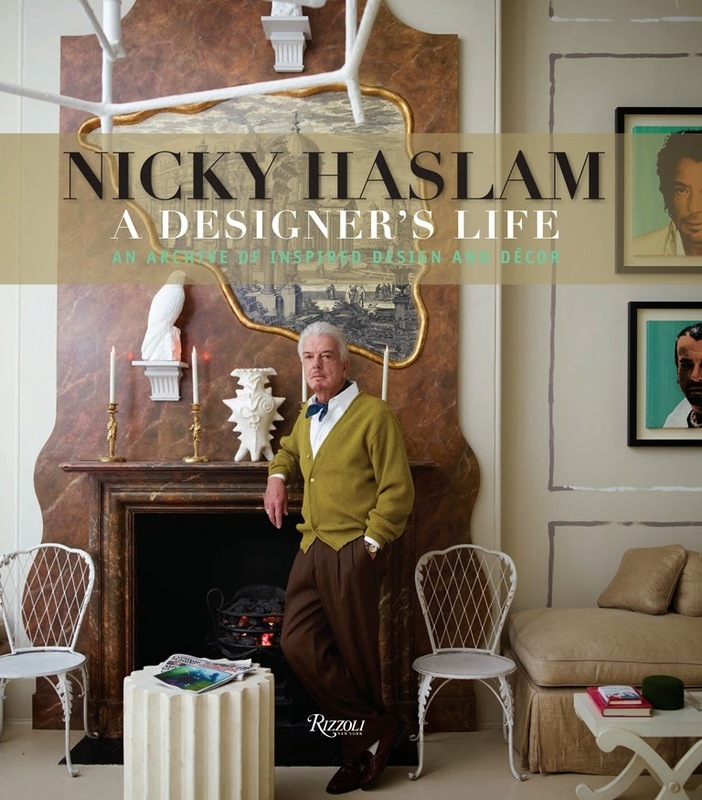 ©NICKY HASLAM: A DESIGNER'S LIFE by Nicholas Haslam, Rizzoli New York, 2015. Jennifer, what stunning books! Both look like great additions to any library! Great post by one who knows of her topic! 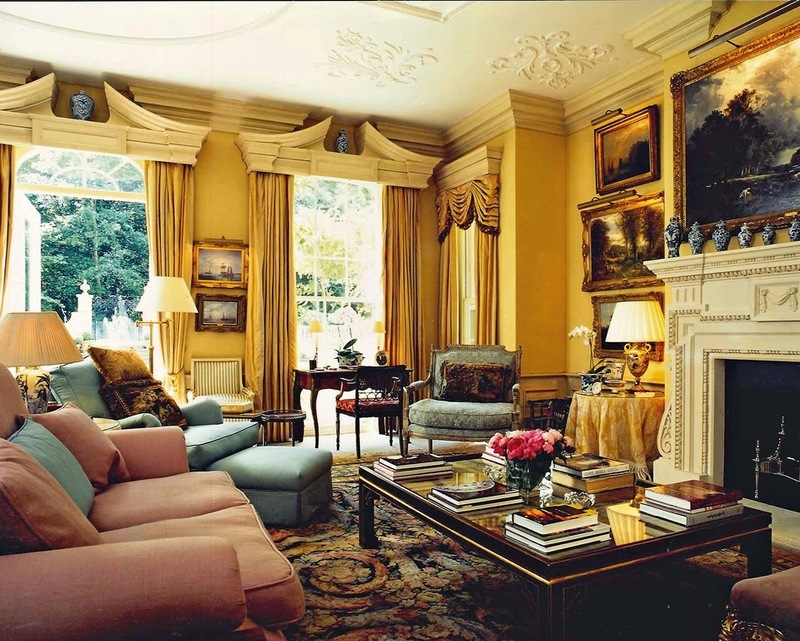 I love the living room in the Haslam book (the LR where he put fringe on the pelmets - not sure about that, though!). What I particularly love is his use of a nice big ottoman in front of the club chair. Now THIS is a LR that will actually be used for something other than drinks before a dinner party! I also love the skirted table - not used nearly enough these days. They do soften a room - not all "legs". 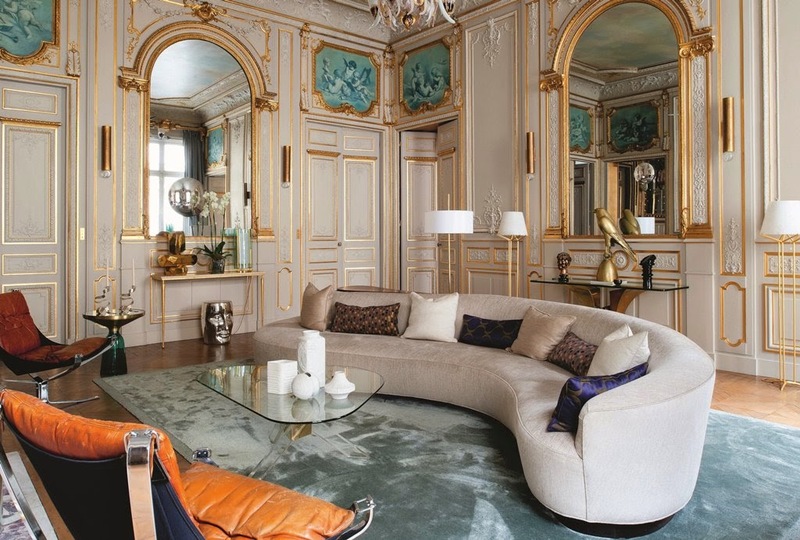 While the rooms in the Paris book are lovely, one really cannot imagine living in any of those rooms unless one lives a VERY grand and formal life. I could easily settle in in the lovely Haslam LR - good book, lamp by which to read, and my two Cavalier King Charles Spaniels on my lap!